Wow! Summer is around the corner! Enjoy this Kingswood Estates lakefront beauty with a sandy beach! Located on the largest lot on Royal Lake, this home is super clean and updated! Enjoy fishing, the summer and the lakeviews on the large deck in your new home! Bright and airy spacious kitchen with ceramic backsplash, large granite counters & island. Entertainers kitchen with large pantry, all stainless steel appliances will stay, recessed & under cabinet lighting, crown moldings. Hardwood floors in kitchen and hall. Formal dining room. 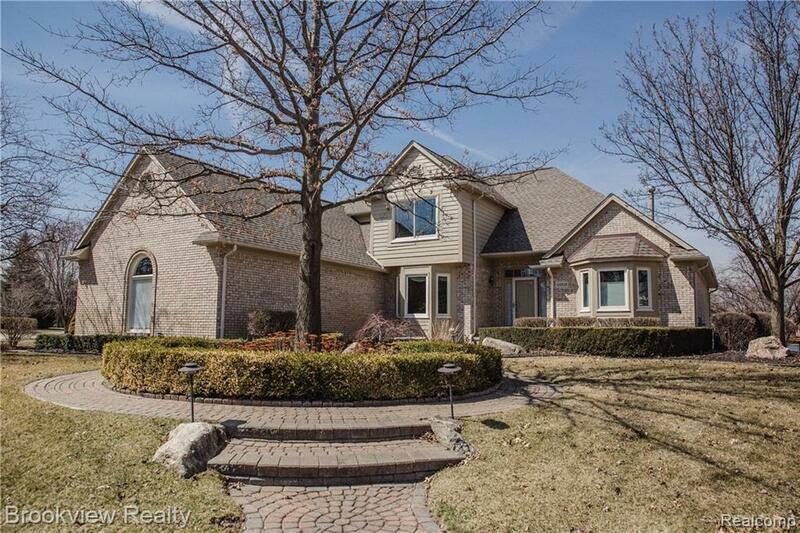 Relax in the full finished walkout basement w/wet bar, full bedroom, full bath & pool table. This winner features nearly 3600 sq ft, 4 bedrooms, 3 1/2 baths, 3 car attached garage, 1st floor laundry, washer & dryer. Professional landscaping, lake fed sprinklers, great curb appeal. New Anderson windows, roof 2010, furnace & central air in 2015. Hurry on this one of a kind home! You won't be disappointed so come & see today!